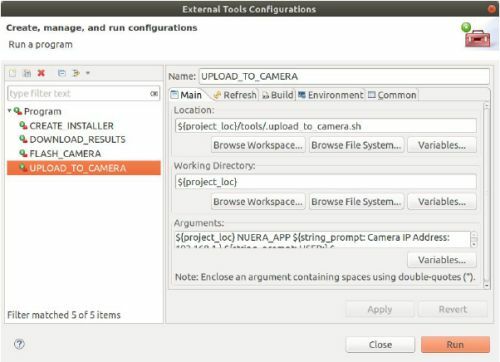 To upload the newly build application to NUERA Camera, run UPLOAD_TO_CAMERA option listed under External Tools Configuration after selecting the appropriate project. launch configuration in the left pane of the window and Click Run. application to the camera and you should see the message as below without any error.